As with on-going development of new products, ECF continue to monitor existing ranges, changes to those and their popularity within the furniture markets. Please carefully read the following changes that may impact upon your business. From January 1st, 2019 the following changes will be made. ​As notified earlier this year, accessory profiles previously advertised at 3.6m are now 3.0m. This is being phased out and replaced with a universal Modern Cornice/Pelmet. This profile is the same dimensions as Combi-bar 50x30mm but without the clearance step. This can be positioned flat top or bottom or vertically as a 50mm high pelmet. Both of these doors styles are being discontinued at the end of this year and won’t be available from January 1st 2019. 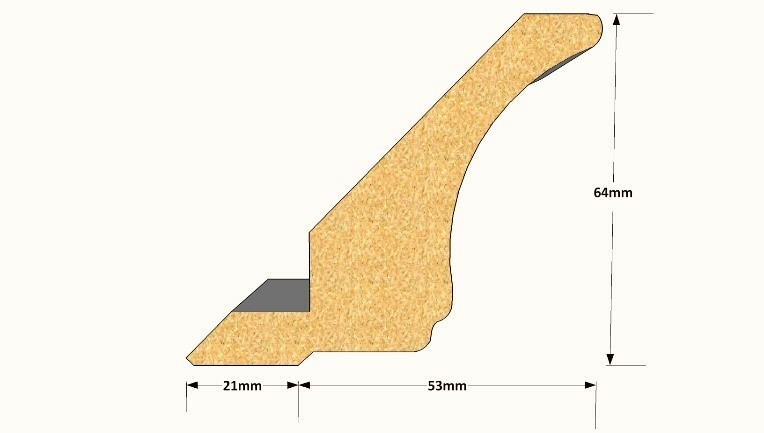 The existing 60x60mm Radius profile in the HOXTON range will be amended to a 70x50mm profile. This change will allow the radius profile to sit flush with the front of doors when fitted. The previous 60x60mm was stepped back in-line with the cabinet gable when installed. The internal radius of the Curved Doors for these designs will be changed to 200mm. Any matching ECF cabinets will also be changed to suit this amendment. Due to supply chain revisions, both of these 50mm thick exterior frames used throughout the greyhouse Bathroom range & VOLANTE Bedside furniture are now fully discontinued. Currently being phased out. Superseded by the new Classic Cornice. Currently being phased out. Tangent Pelmet will still be available. Finish availability will be shown in the new price list. Currently being phased out. Superseded by the new Modern Cornice/Pelmet. Finish availability will be shown in the new price list. 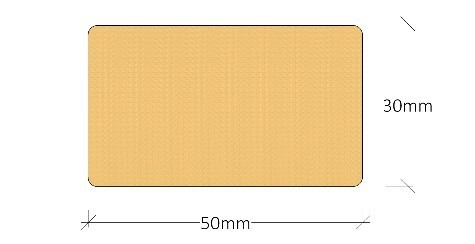 In the majority of popular finishes, the 150mm Plinth will soon be supplied profile wrapped at 3.0m. Other finishes and Plinths ordered at heights other than 150mm high or profiled for bedrooms will be supplied 2.5m PVC pressed as before. Availability of the stocked GOSCOTE accessories (Plinth, Cornice & Pelmets, etc.) have undergone a revision. The full list will be shown in the new price list. Both these PVC decors will be discontinued at the end of 2018. Finish availability shown in the new GOSCOTE price list. Please make note of these important changes in your sales literature, door collections and price lists and inform relevant personal in your business.